There was little election-night drama at Trocadero's nightclub in downtown Minneapolis, where the Ellison campaign celebrated his victory. 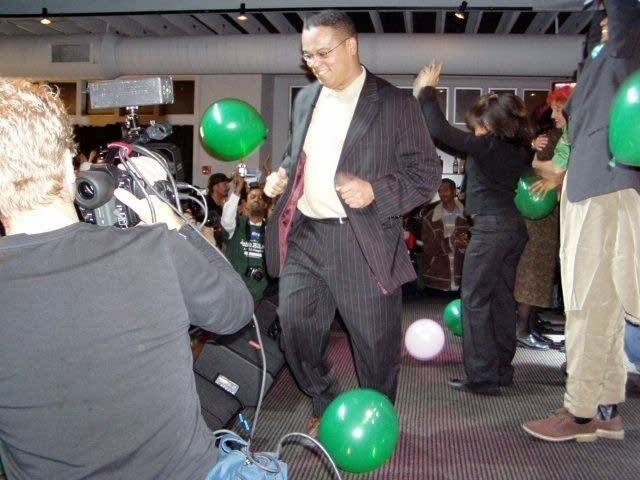 The race was being called in his favor just minutes after the polls closed, just about the same time Ellison walked into the club. By the time Ellison climbed on stage for a green-and-white balloon drop, the television screens on the walls were showing the results of the race. "We had our ups. And we've had some downs, but mostly we've had the ups; isn't that right?" Ellison told the crowd. Ellison won the DFL endorsement this spring. But soon after, Ellison's history of unpaid parking tickets and unpaid back taxes became public. Some of his opponents in the DFL primary criticized Ellison's mistakes. Ellison won the DFL primary but found himself the target of aggressive criticism from Republican candidate Alan Fine. Late last week, Fine's campaign mailed out literature that attempted to link him to Louis Farrakhan's Nation of Islam, and claimed Ellison praises cop killers and gang members. Ellison told his supporters that he wanted to take the high road during the campaign. "I want you to know that in this campaign, that not only did I say or do no wrong to no opponent I ever had (applause), no one on our campaign staff did that. None of our donors did that. None of you did that," he said. Ellison's other major opponent was Independence Party candidate Tammy Lee, who ran as a social progressive and fiscal moderate. 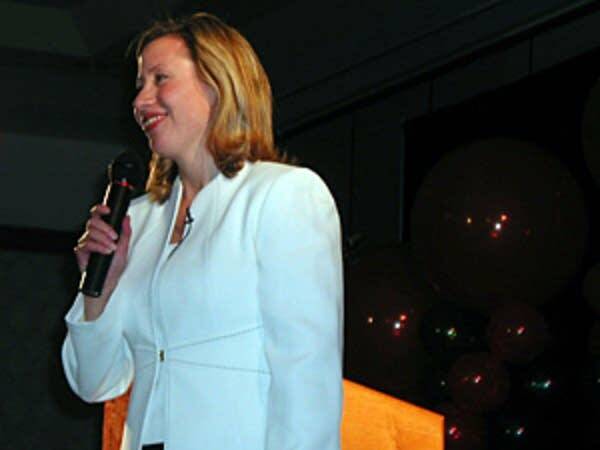 She stressed balanced budgets as well as opposition to the war in Iraq. And Lee says she'll likely continue to push for fiscally responsible government. "Whether it's involved in party politics, or I go back into the business world. Whatever happens after tonight, it's the right agenda and it's the right message and I will continue to champion that cause," she said. While the 5th District has long been considered a safe Democratic seat, the race has drawn attention for another reason: Ellison was raised Catholic, but converted to Islam after graduating from high school. 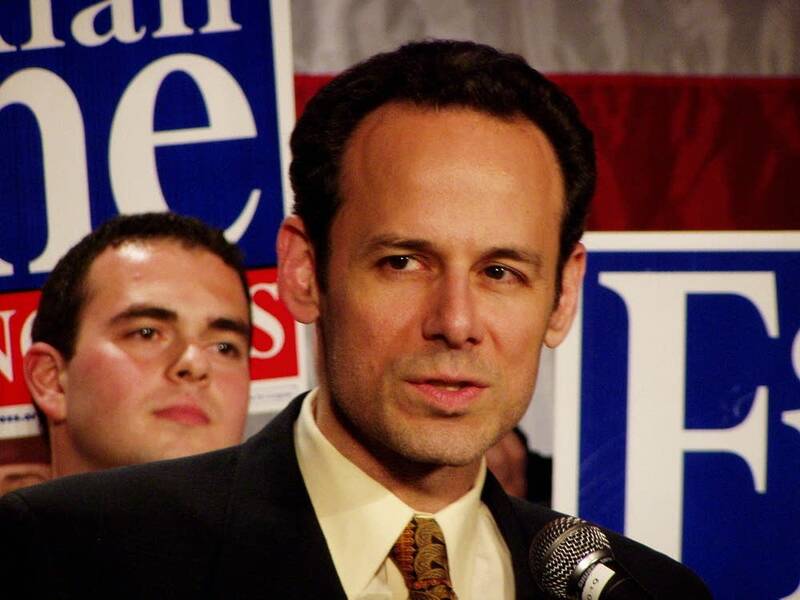 He is the first Muslim ever elected to U.S. Congress. Some of Ellison's Muslim supporters say they hope he can help bridge some of the divide between Muslims and non-Muslims in America. But others, like Adeeba Al-Zaman, say there's more to Ellison than his religion. "I'm not supporting him because he's a Muslim or because he's a minority. I'm supporting him because of his values and the issues that he stands for," he said. Al-Zaman didn't vote for Ellison because she's from Philadelphia. But she's been following his campaign from afar, and decided to come to Minneapolis for Ellison's victory party because she says she wanted to part of a historic moment. "I'm just so proud of his image and his vision and his platform. So that's what I've been hearing. He's standing for these issues that I as a Philadelphian can support and as a Muslim woman can support. So that's why I'm here." As Ellison leaves for Washington, he also leaves the state House seat he represented for two terms. He will be succeeded by political newcomer Augustine Willie Dominguez, a DFLer and Latino community activist.